Verbatim is a brand most will be familiar with for their optical media; you can find spindles of Verbatim DVD-Rs and CD-Rs on the shelves of just about every electronics aisle in the country. Their name is built, more or less entirely, on media for physically shuttling bits from place to place. It is no surprise then, that they would choose to branch out into portable hard drives. 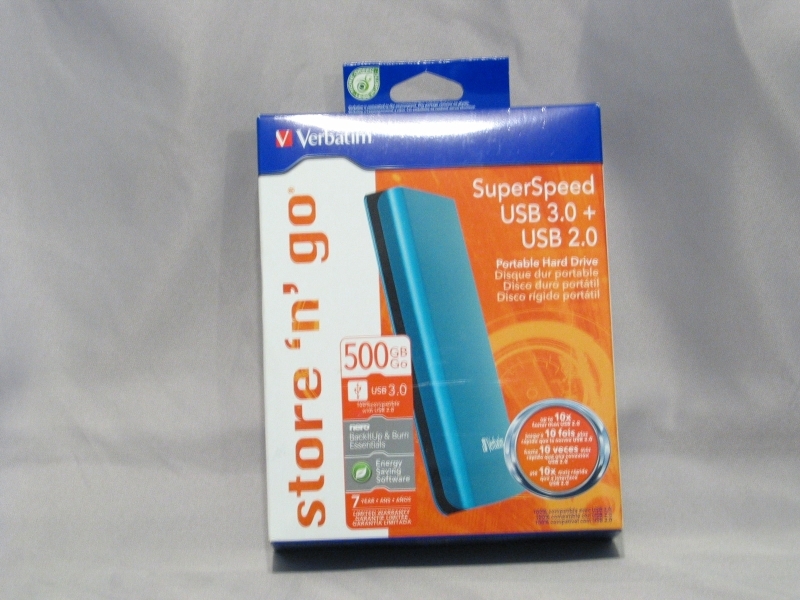 Today we’ll be looking into one of their latest offerings, the Store ‘n’ Go USB 3.0. Compact, portable drive features a sleek finish All true, this drive is fairly petite. SuperSpeed USB 3.0 increases transfer speed up to 10x faster than USB 2.0 USB 3.0 can deliver speeds of 4800Mbps; that doesn’t mean every device will be able to reach those speeds. 100% compatible with USB 2.0 ports They’d be badly out of spec for USB 3.0 if it wasn’t. Includes Nero BackItUp & Burn software Useful if you don’t already have a backup routine in place. Includes Verbatim’s Green Button energy-saving software Nice for saving a bit of juice if you plan on leaving this drive connected all the time. Features Verbatim’s Formatter software, allowing users to easily format the drive to either FAT32 or NTFS (or FAT32 to HFS+ for Mac version), based on their own requirements. Useful for your Aunt Tillie, not necessary if you know what you’re doing. Industry-leading 7-year limited warranty Seven years is unusually long for a hard drive warranty. Pretty standard packaging, with all the features you might care about on the front. Note there are no explicit claims about speed; we instead get the “up to 10x faster” weasel words. 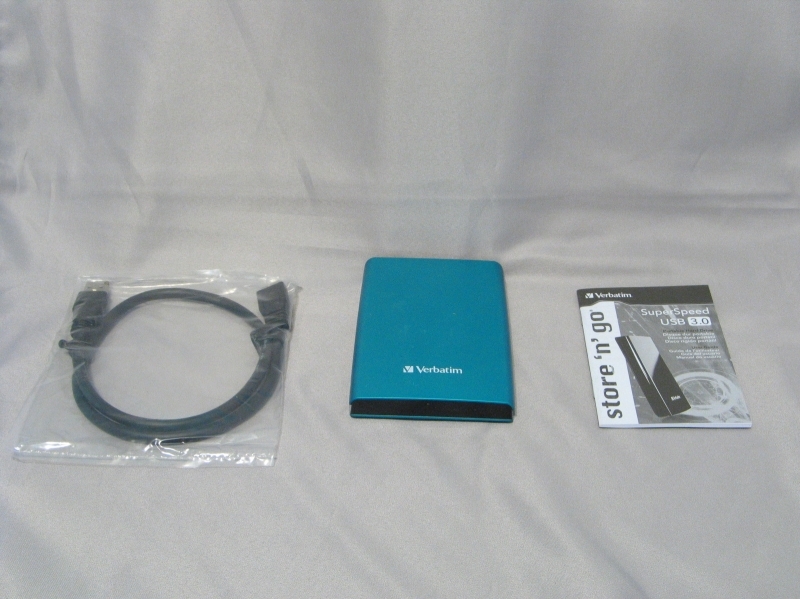 Inside the cardboard enclosure, we get these: the drive itself, the USB 3.0 cable, and a quick-start pamphlet. No drivers are needed to access the drive itself, and the extra software is included on the drive.